When teens are told they can benefit from braces for straightening their teeth, they are often uninterested in wearing embarrassing metal brackets and wires over their smile. Instead, they are looking for alternatives that can achieve the same results without being a “metal mouth.” Dr. David Spilkia of Philadelphia, PA proudly offers a solution: Invisalign. Invisalign is aligner therapy. 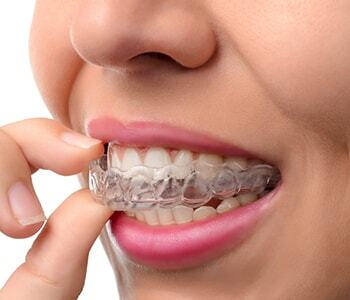 This method eliminates the need for metal and instead uses transparent plastic trays that are custom-made for patients based on their current smile alignment and their desired alignment. The trays are worn day and night over several months to gently reposition the teeth into alignment within the dental arch. The team of David Spilkia Family and Cosmetic Dentistry monitor progress with regular dental visits and encourage patients to consider this alternative when they are uneasy about the idea of conventional orthodontia. Teens and adults who have mild to moderate misalignment may find Invisalign to be ideal for their smile. Invisalign can also improve bite alignment, correcting overbite, underbite, and cross bite. First, patients consult with their dentist to determine if Invisalign is right for them. Then impressions are taken and digitized to create a series of trays. Patients follow treatment recommendations to achieve the desired results. Interested in learning more about Invisalign? Dr. David Spilkia of Philadelphia, PA will discuss the advantages of using clear aligner tray therapy to achieve more beautiful smiles for teens and adults. Contact the practice today by calling (267) 463-2777 or visit our office at 7052-56 Frankford Avenue. Our staff is here to assist with this and many other smile-transforming services for you and your family!